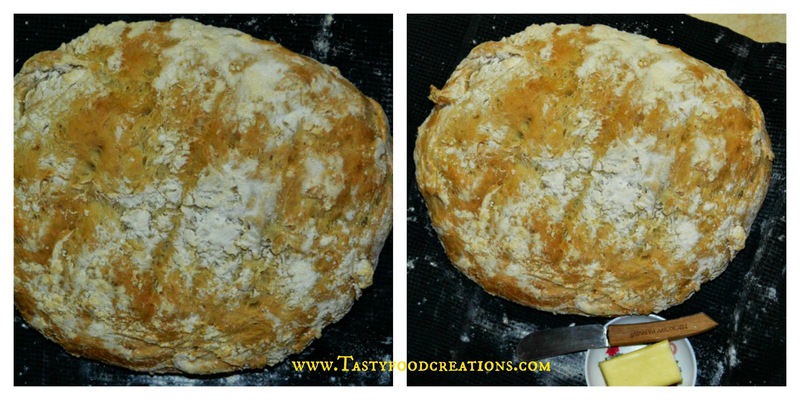 This easy and tasty bread is ready to be devoured in 3 hours and 5 minutes at the most. Its perfect with butter and as a sandwich bread. Enjoy!!! 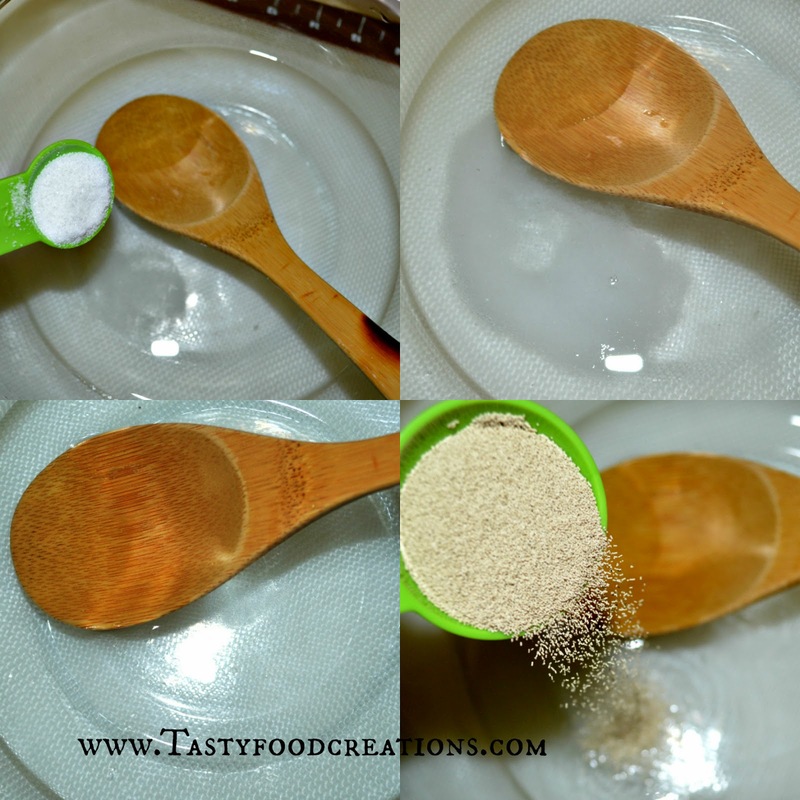 Let yeast set for few minutes until it gets little foamy. 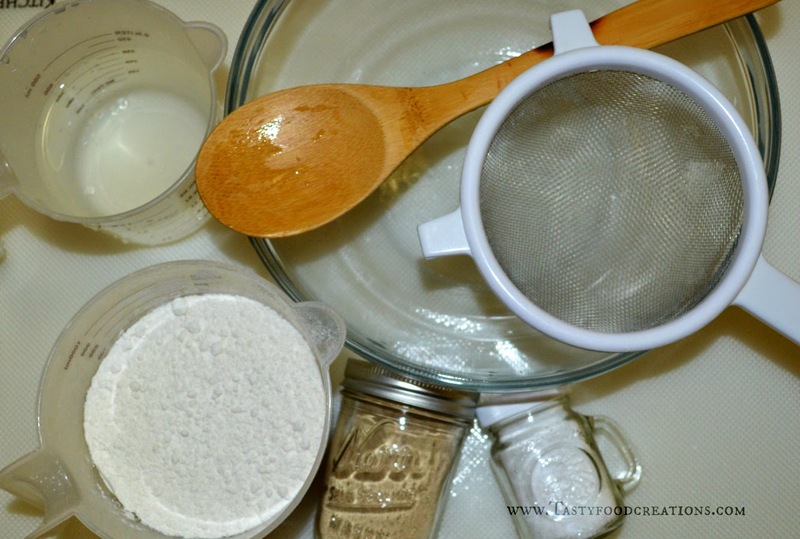 Add flour one cup at a time and mix it lightly. 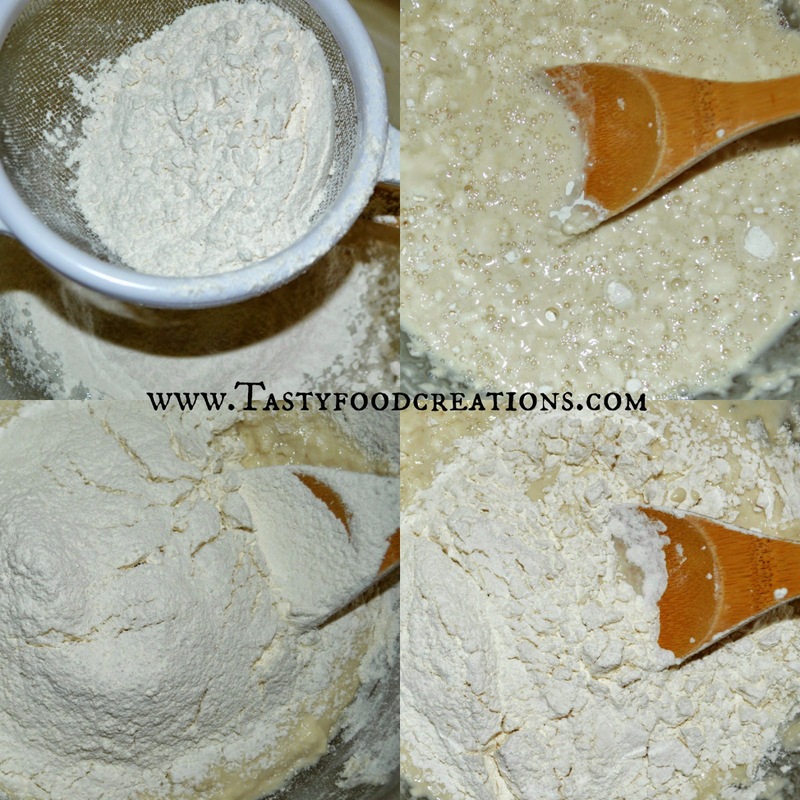 Add and mix all flour. 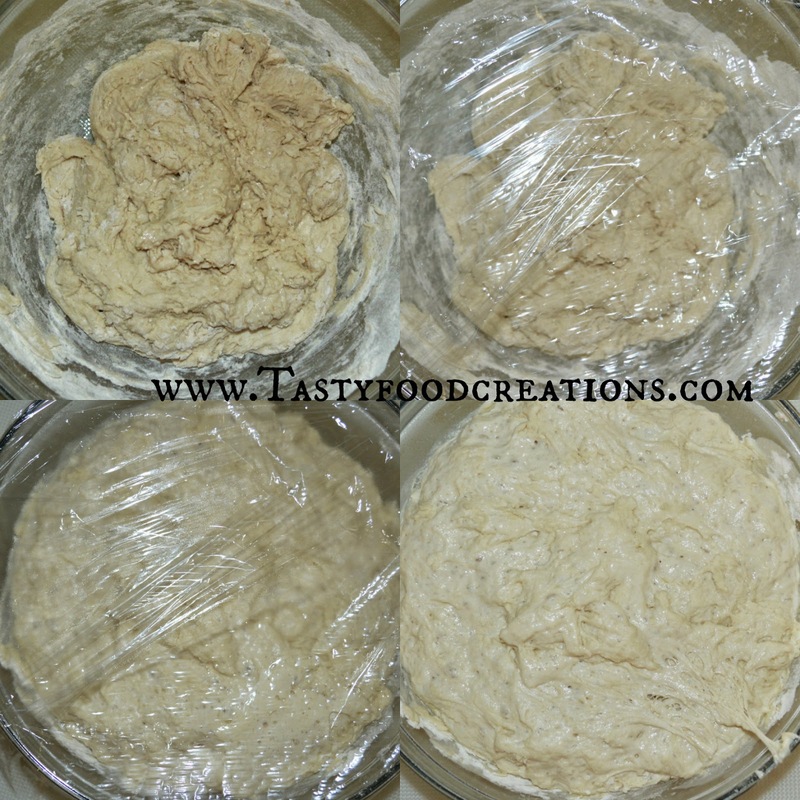 Cover dough with plastic wrap and let it rise for 2 hours in the warm place (like oven or microwave). After 2 hours lightly flour dough and hands. 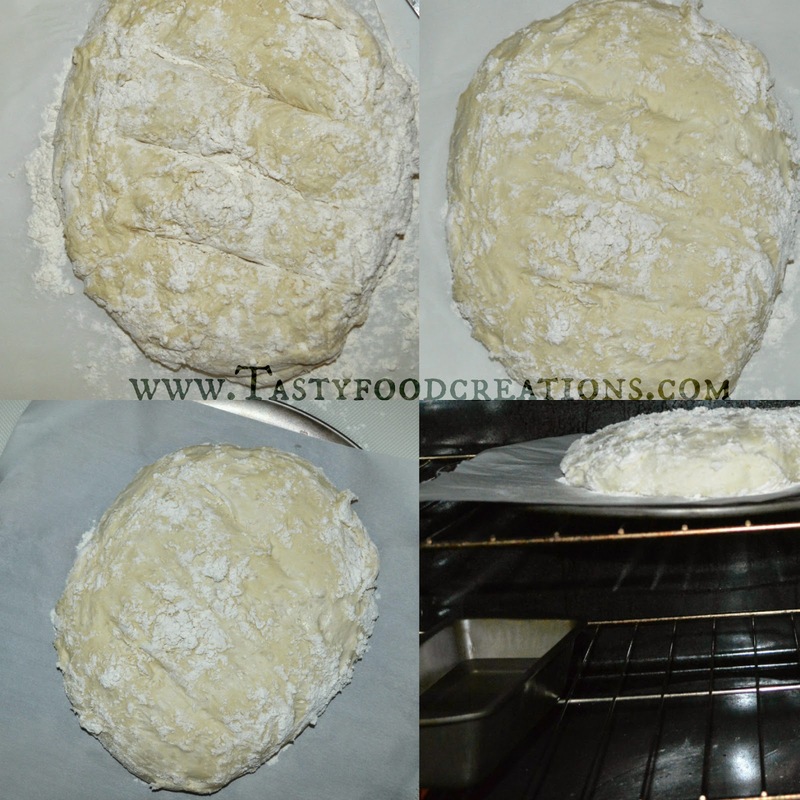 Scrape out dough into a lightly floured parchment paper. Once you have dough on the parchment paper shape it to your desired shape and cut three strips with a sharp knife and let it rise for additional 35-40 minutes. In the meanwhile preheat oven on 450 Fahrenheit and add cookie sheet and baking dish into an oven to heat up. 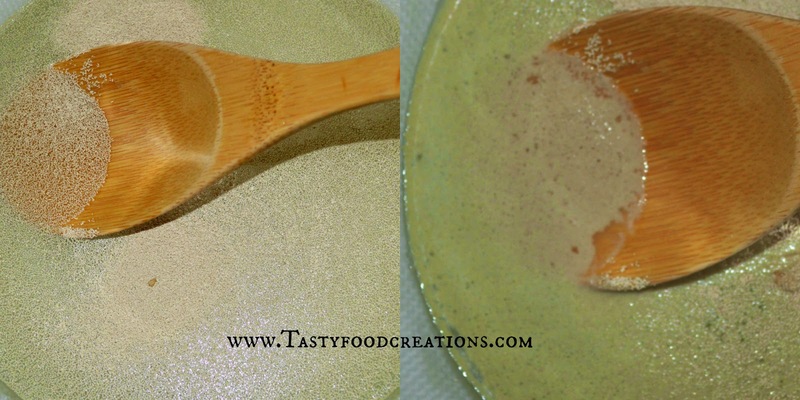 After 40 minutes pour boiled water into a baking dish or loaf pan. Then slide bread loaf with parchment paper into a hot cookie sheet (use a protective glove to not get burned) and bake it for 20-25 minutes or until golden brown. 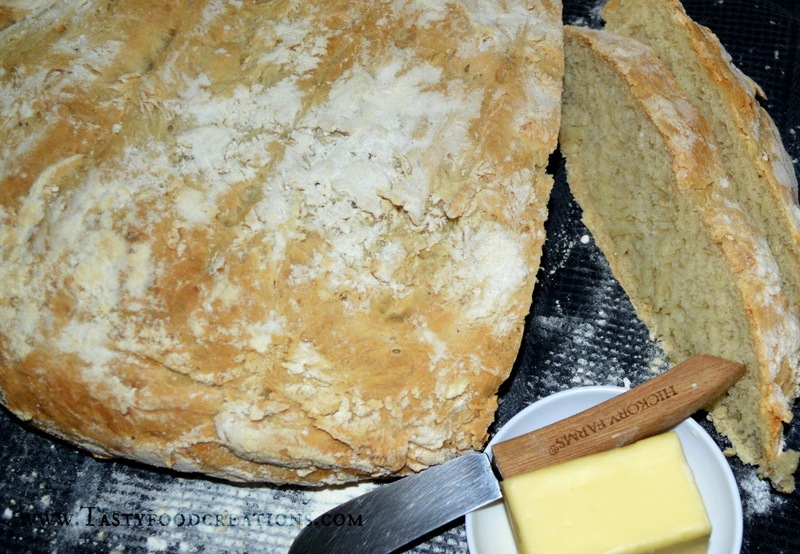 Remove bread from the oven and let it cool into a room temperature. After its cooled serve it with butter or make a tasty sandwich. ENJOY!! !